Being someone fond of Teochew food, I’m not adventurous when asked to try teochew restaurants unless it’s proven to be authentic. 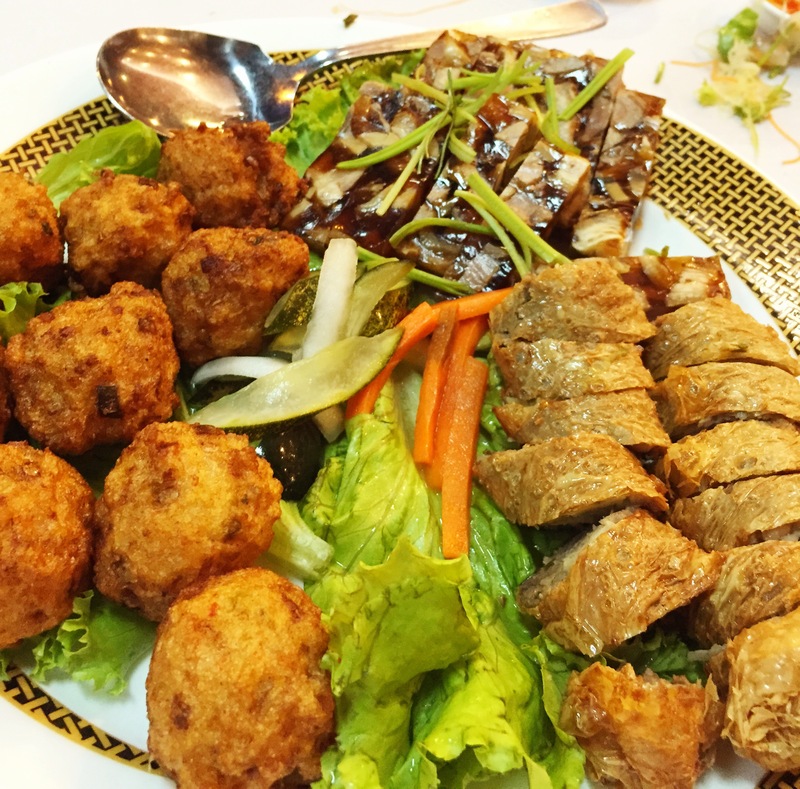 We had an early reunion dinner round 1 with my family at Chao Shan Cuisine, located along Beach Road. 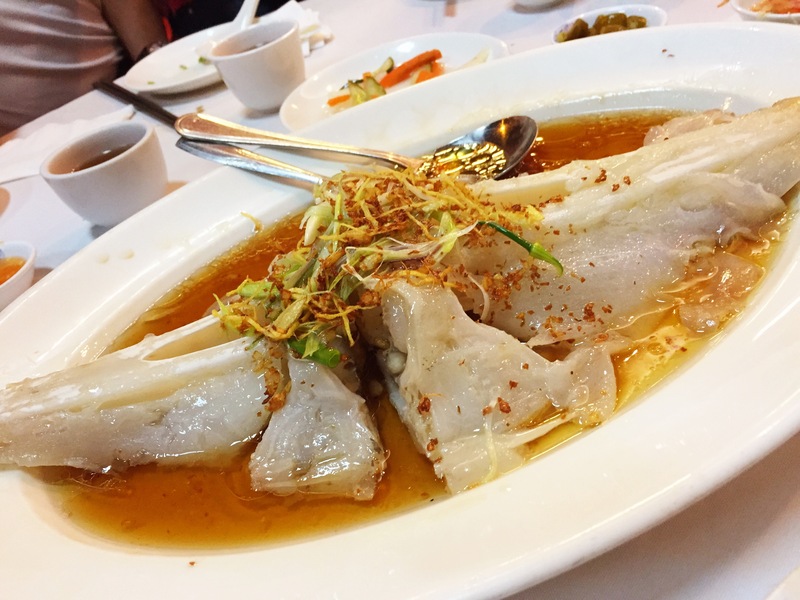 This restaurant is well known amongst Teochews and indeed serves very authentic dishes. 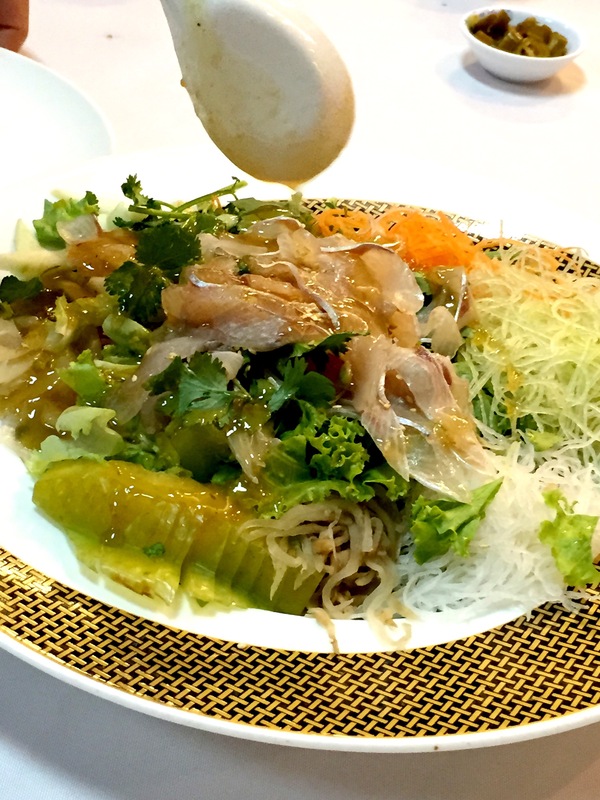 First up, teochew yusheng (鱼生) 7.5/10 – this is my first time having teochew yusheng! Compared to the usual Cantonese style we’ve had, this was pretty refreshing! No preserved ingredients and the fish was not the usual salmon. 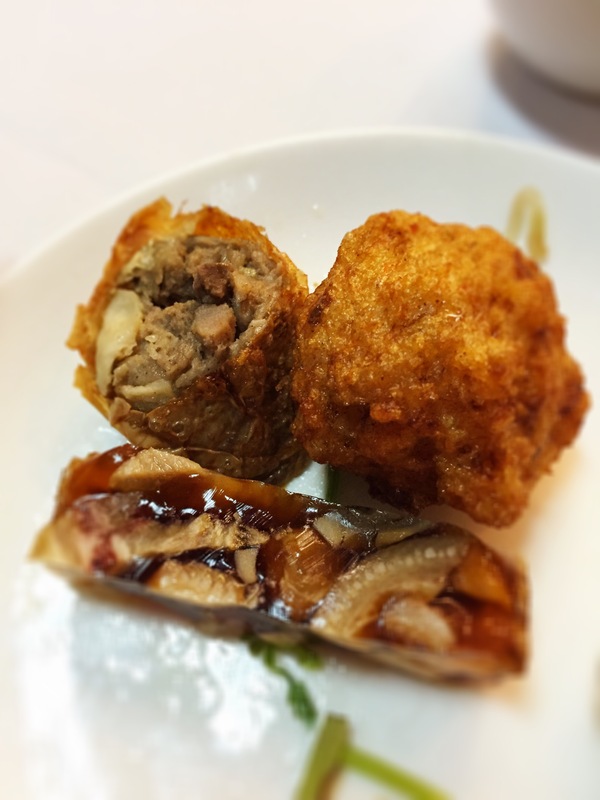 Cold dish (冷盘) 8/10 – consisted of liver roll, pork aspic and prawn balls. All 3 were very good but my favorite was the pork aspic. Very nice, firmer than I remembered (not at this restaurant) and really tasty! 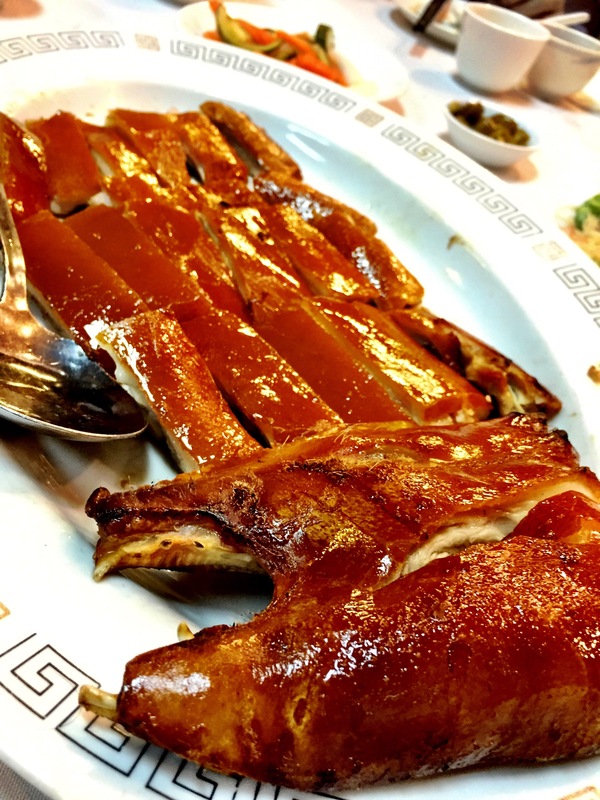 Roast piglet 8/10 – well marinated crispy skinned piglet. See the shiny crackling? Yums! Braised goose 7/10 – no photo, was good but nothing out of the ordinary. The tofu was not braised enough and tasted quite bland. 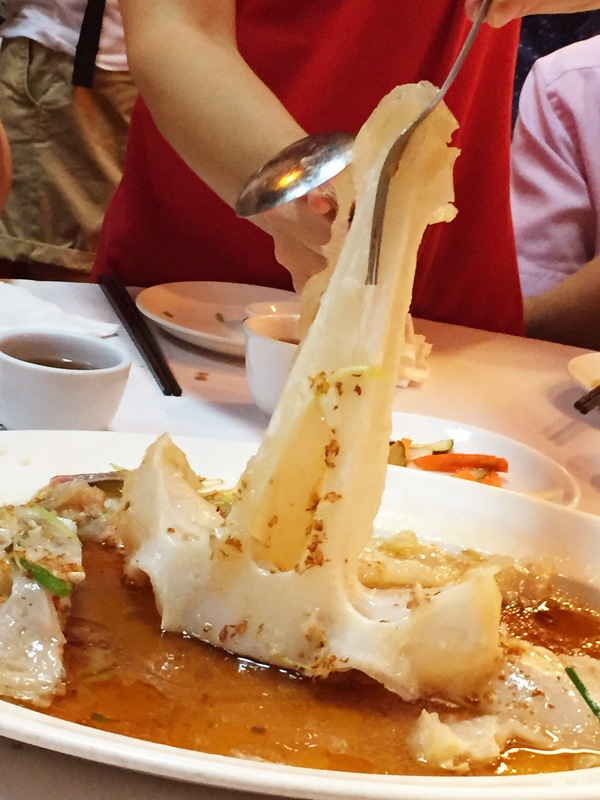 Steamed pomfret 8/10 – no photo, was a slightly fatty fish nicely steamed with preserved plums. Very nice. 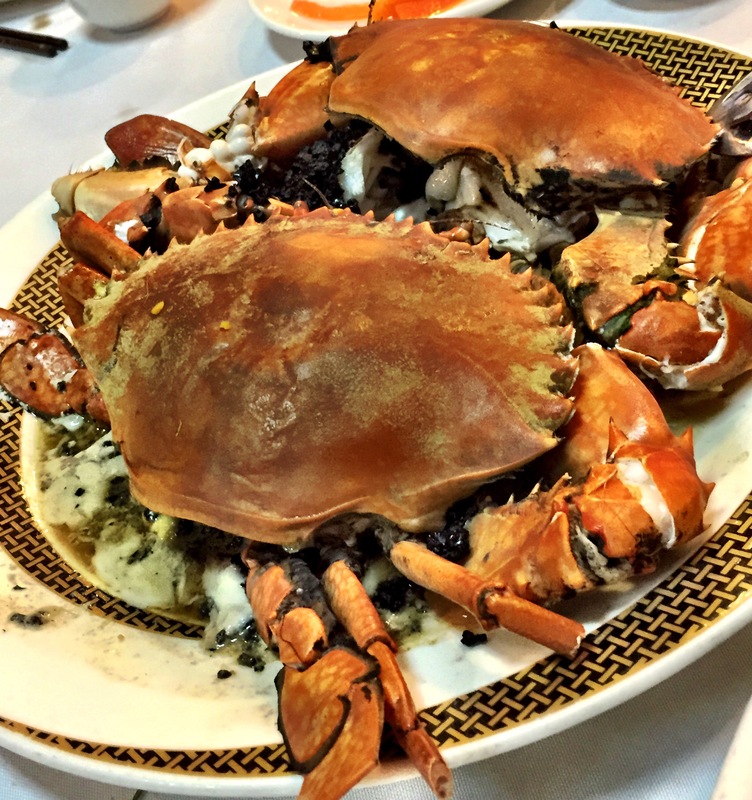 Steamed crabs with black chopped olives 7.5/10 – the black olives gave a citrusy twist to the dish. 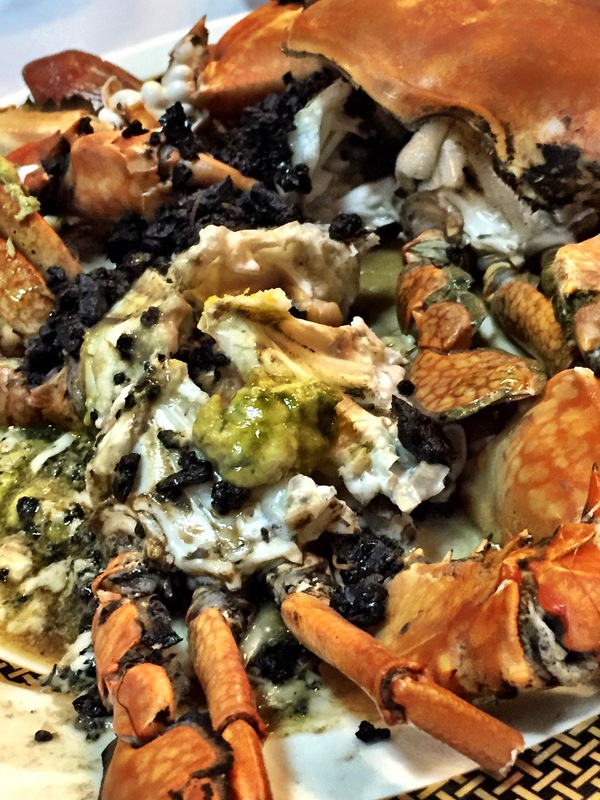 The crabs were so sweet and succulent! 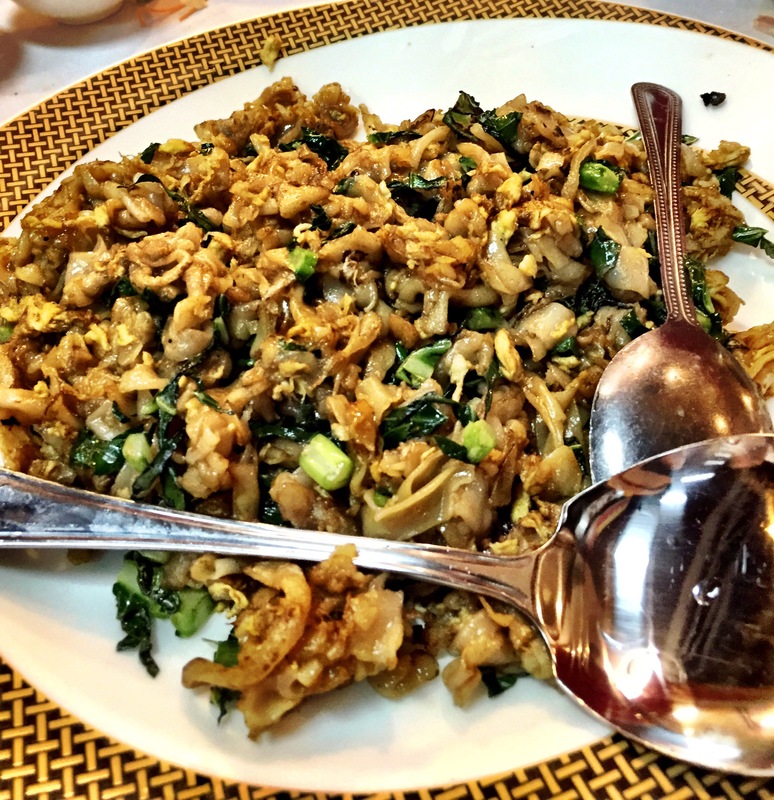 Chai po fried rice noodles 8/10 – chai po is preserved radish which we use to make omelette or put on food (like chwee kueh – steamed rice flour cakes). The chai po was not salty and the fragrance of the lard was great! 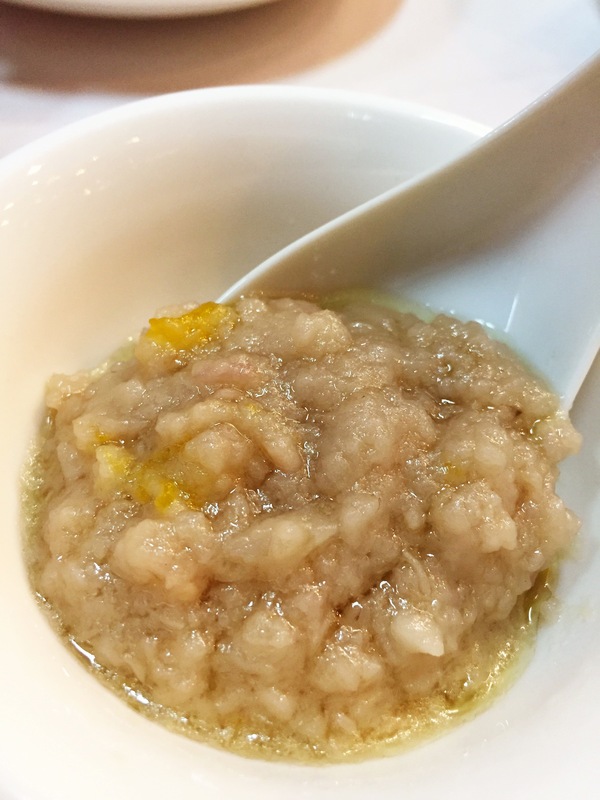 Orh nee (yam paste) 7/10 – this is a very traditional dessert in teochew cuisine. I’m not sure what’s missing from this but somehow it’s either lacking the taste of lard or I’m not too used to seeing Orh nee being lumpy. Overall the food was good and you pay for what you get (about $40 plus per head for all the food mentioned). As the restaurant was tiny (fits about 50). We had to sit by the road without aircon so it was quite uncomfortable and warm. In addition, we had to squeeze (back to back) with the other patrons from the next door restaurant. Would think Ah Orh wins with the ambience and comfort. 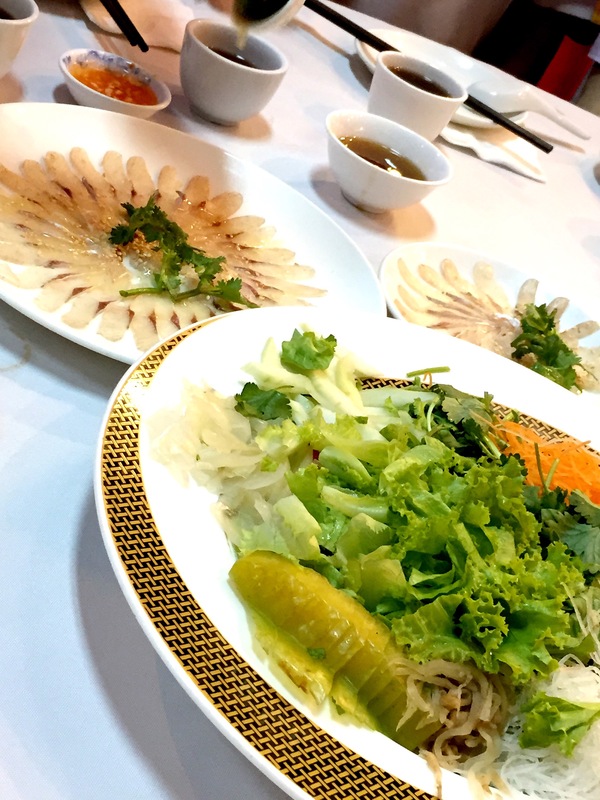 However, Chao Shan will be moving to Philip Street towards the later part of 2015. Hope it’s a much bigger place which provides more comfort. I had wanted to try this out last week at Philip street! But they are on break reopening on 14 March. Can’t wait to try the food out now after reading your review!